How do I buy a iVision Mobile Business Opportunity? NOW Is The Time To Start A Mobile Marketing and Communications Business! Take advantage of the booming cellular phone industry! 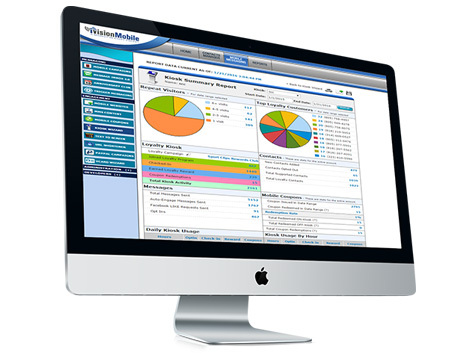 Start a mobile communications company with iVision Mobile's industry leading web-based SAAS software. Our powerful software lets you work with businesses across a wide range of industries to engage their customers, prospects and employees with alerts, coupons, text to wins, surveys, appointment reminders and much more! With little upfront investment and low monthly expenses, iVision Mobile's software is the best opportunity to build immediate recurring cash flow! We will give you all the tools to price your product for success and grow a successful mobile marketing and communications business. Open iVision Mobile in any of these available states: AK, AL, AR, AZ, CA, CO, CT, DC, DE, FL, GA, IA, ID, IL, IN, KS, KY, LA, MA, MD, ME, MI, MN, MO, MS, MT, NC, ND, NE, NH, NJ, NM, NV, NY, OH, OK, OR, PA, RI, SC, SD, TN, TX, UT, VA, VT, WA, WI, WV, WY. Mobile phones are everywhere! People rely on their smart phones to do just about everything. 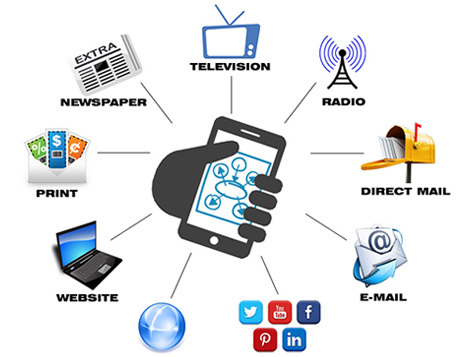 Mobile phones are used to communicate by call and text message, engage with social media, browse the internet, pay for goods and services, and much more. Text messaging has become the most widely used communication channel. In fact, more people prefer to receive text messages versus phone calls or other forms of communication as it relates to marketing offers or account-related activity with service providers. Take advantage of this growing technology by empowering businesses across different industries with a powerful tool that lets them engage their customers, prospects, and employees on their mobile devices. This communication can be marketing or business related and is proven to significantly increase revenues and reduce costs. 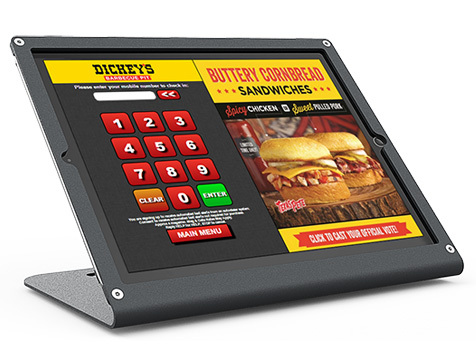 Our powerful digital loyalty kiosk works by tracking customer visits, then sending targeted automated text messages to the right customers at the right time! The system provides instant analytics that shows merchants how much your service is directly increasing their bottom line! 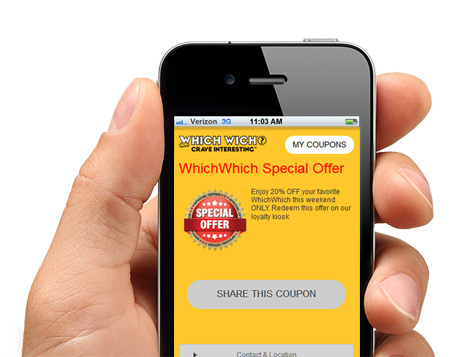 Your clients can also deliver visually appealing coupon offers to their subscribers. These coupons can be virally shared to exponentially increase the merchants' reach and can also be saved to a mobile wallet such as Android Pay or Apply Pay. IVision Mobile has your back through every aspect of the business, starting with training and sales strategy! iVision Mobile will send a Mobile Communications Expert with 10+ years of mobile industry experience to aid you in learning the technology, developing a business process, and accompany you to merchant appointments to help close your first few deals! IVision Mobile's team of experts have 10+ years of mobile industry experience and our employees are solely focused on your success. You will have a clear path to follow to progress towards tangible results, supported by our staff to assist you with all of your needs. iVision Mobile provides mobile marketing and communications software to 6,500+ merchants, brands and agencies to engage consumers across a diverse range of industries from small businesses to Fortune 500 companies. Take advantage of the booming cellular phone industry and complete the inquiry form today. iVision Mobile is not currently active in our directory, but here are some other recommended selections for you to explore.